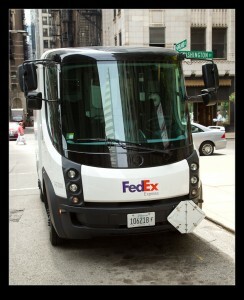 As I looked across to Wacker Drive, I saw a FedEx delivery truck that looked very unusual. It had a very aerodynamic looking front end and didn’t look anything like their normal trucks. 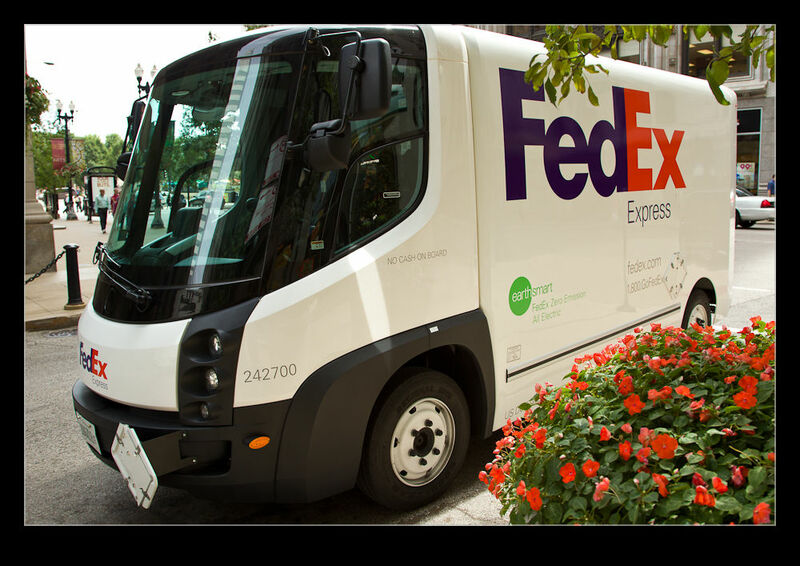 A while later, I googled FedEx and delivery trucks to see if anything came up and, sure enough, there w a feature on their website about a number of new trucks that they are running trials on, some of which are here in Chicago. The trials are for new designs that are either light weight conventional designs or alternative propulsion designs. They are trying the different concepts out on different routes to see which ones are best suited to which routes rather than having a one size fits all approach. Apparently, we have some electric vehicles here in the city. I didn’t think much more about it until a few days later when I was out in the Loop. As I came down a back street, a came across one of the new trucks. It certainly has a very modern look about it. The driver was not around so I had a bit of time to look around it. Apparently, there is not a door to the outside on the cab. It seems you have to go back through the truck. There were some quite jazzy looking electronic access controls so it has all the bells and whistles fitted. It will be interesting to see how the trials go and whether these become a regular sight. 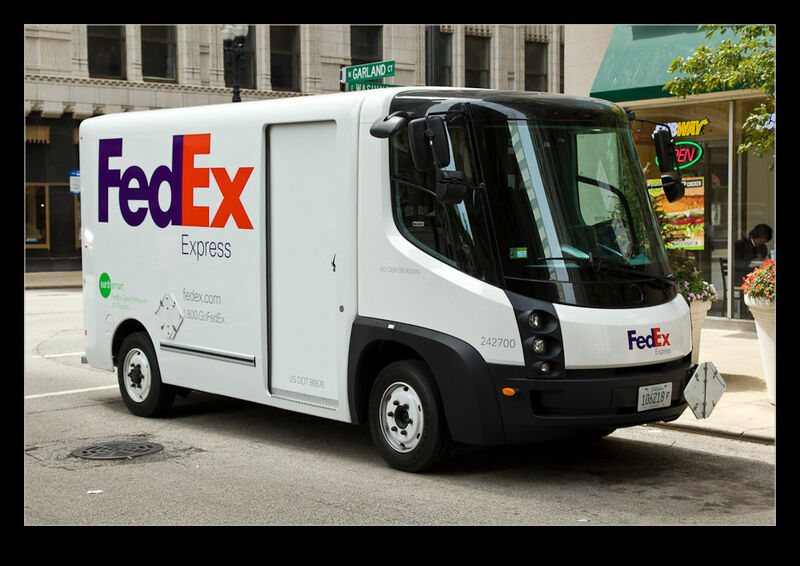 Given how many miles FedEx puts in, they must have plenty of scope to save cash! This entry was posted in Chicago and tagged delivery, electric, emission, express, federal, FedEx, low, truck, van. Bookmark the permalink.